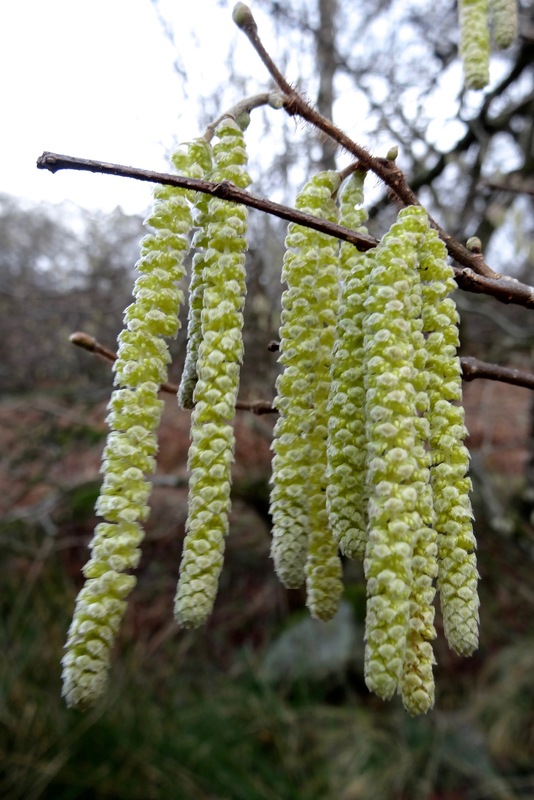 Hazel- the familiar, lemon-coloured catkins appear in January and February, long before the leaves. Look more carefully on the same stems and you will find the tiny, red, female flowers. 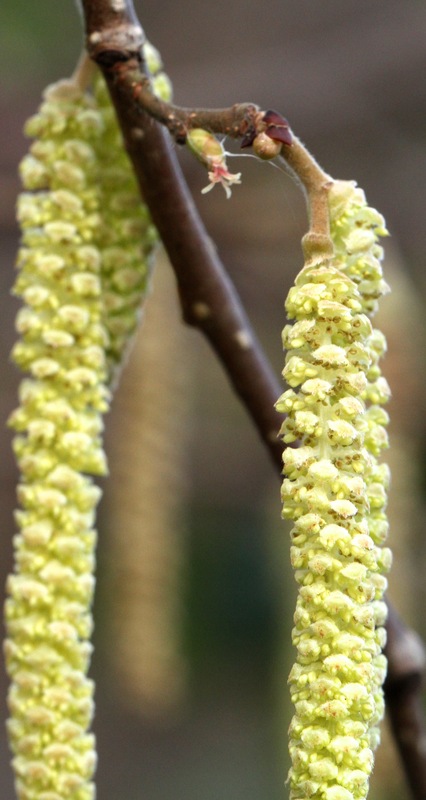 These are fertilised by the clouds of wind-blown pollen from the ‘lambs-tail’ catkins. The pollen is hard for bees to collect- being wind-pollinated, the pollen is not sticky as it is for insect-pollinated plants, so each grain resists adhering to the next. 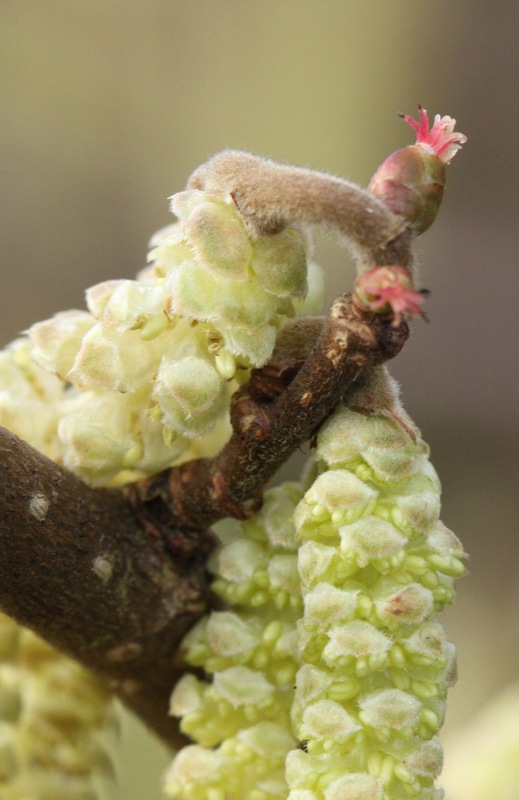 Hazel is very useful to other wild-life and people have used it for millennia, especially valuing its flexible growth when young and its straight stems for walking sticks and bean poles, hurdles and handles when coppiced. Conditions: Mild and cloudy. Temperature: Max 11- Min 7C. 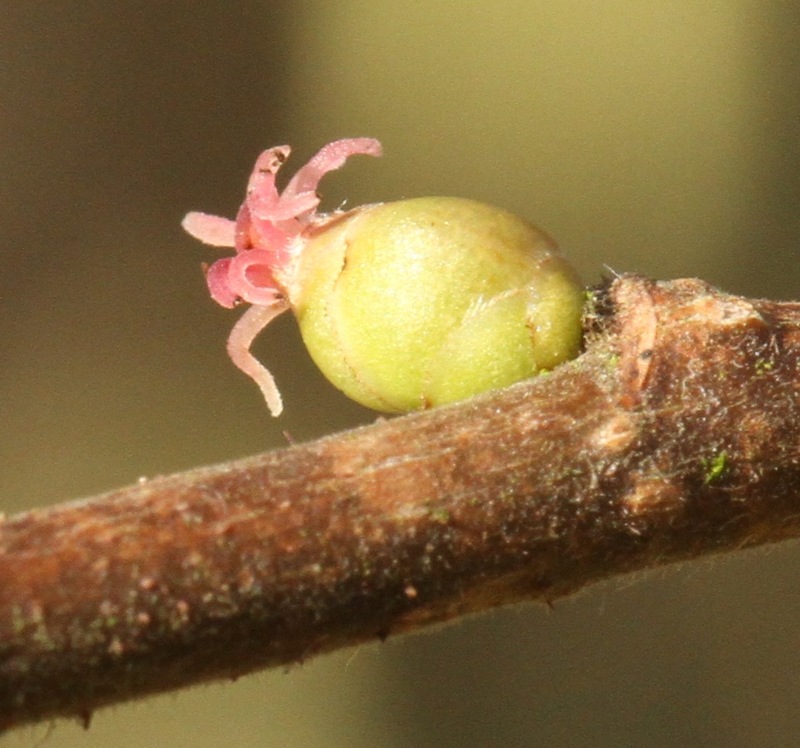 This entry was posted in Local wildlife, sheffield nature, woodland and tagged Hazel flowers by pennyphilcox. Bookmark the permalink.